Pattern created by a very high tide at New Topsail Inlet, North Carolina. The "sails" caused distortions in the erosion patterns. 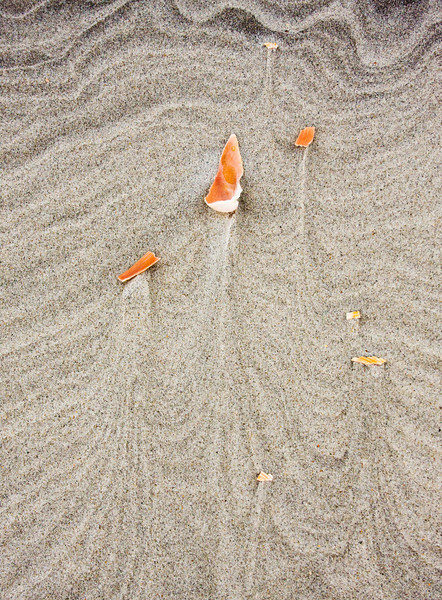 Salmon (pink) shells against gray sand. an 11x15" print fits into a 16x20" frame. These photos are very clever. You have a good eye for lines and shapes.